Cecil De Loach was a San Francisco firefighter when he and his wife Christine bought the Barbieri Ranch Vineyard in 1970. Located in the heart of the Russian River Valley on Olivet Lane, this 24-acre vineyard had been planted to Zinfandel in 1905. Shortly thereafter, they added another 27-acre vineyard close by where the De Loach Vineyards winery was built. By 1975, Cecil took an early retirement and devoted himself to winemaking. Over the years, De Loach acquired 900 acres in Sonoma County and was producing 250,000 cases of wine a year. The vineyard-designate Zinfandels were quite popular as was the White Zinfandel and Chardonnay wines. Pinot Noir was also a major part of production and De Loach even had a specific winery designed to produce Pinot Noir. In 2003, the label was sold to Boisset and Cecil and Christine started over in 2004 with a small family winery named Hook & Ladder located several miles away from De Loach on Olivet Road in a farmhouse. Over 375 acres of vineyards were retained. Grandson Jason De Loach, who trained under Dan Cedarquist at Balletto Vineyards, became the winemaker in 2006. Several other family members are also involved in the small and unpretentious operation. There has been a renewed devotion to Pinot Noir and the most recent vintage wines have been very impressive. 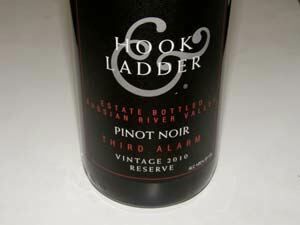 At the recent Sonoma County Harvest Fair, the 2006 Hook & Ladder Winery Estate Bottled Russian River Valley Pinot Noir won a Gold Medal in the $25 to $34.99 class and the 2006 Hook & Ladder Winery Estate Bottled Reserve won Best of Class in the $35 and over category. 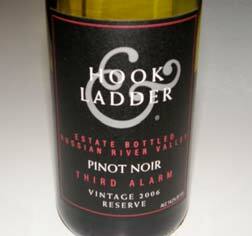 Hook & Ladder Vineyards and Winery wines are sold on the website, The tasting room located within the winery is located at the Barbieri Ranch at 2134 Olivet Lane and is open daily from 10:00 to 4:30. 707-536-2255.